Rosie Danvers and Wired Strings teamed up with SIGMA on three tracks for their forthcoming album. The first to be released is the awesome track ‘ FOREVER’ ft Quavo and Sebastian Kole. String Arrangement written by Rosie Danvers, Performed by Wired Strings, Strings Produced by TommyD, Engineered by Nick Taylor and Recorded at British Grove. 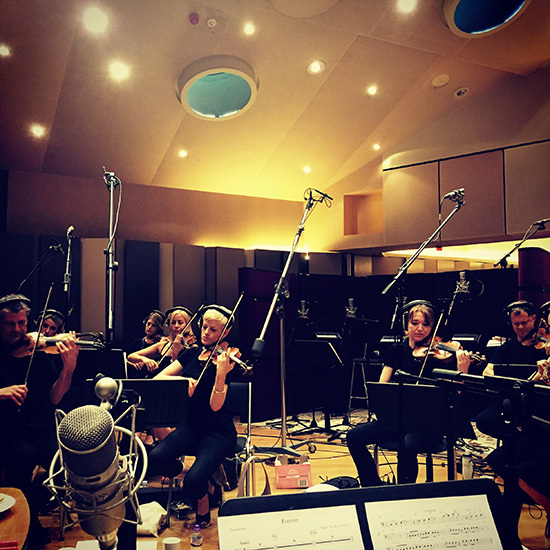 Photo: Wired Strings recording the strings for ‘FOREVER’ with SIGMA at British Grove Studios, London.